Guess who’s back… back again… Tommy’s back… tell a friend! Yes Tommy’s back and wants to tell you about our redesigned Textile Banks! Donate your clothing to Crest to give it a second lease of life! It’s been a while since we’ve seen Ann but she’s as busy as ever, smashing the sales in Colwyn Bay! 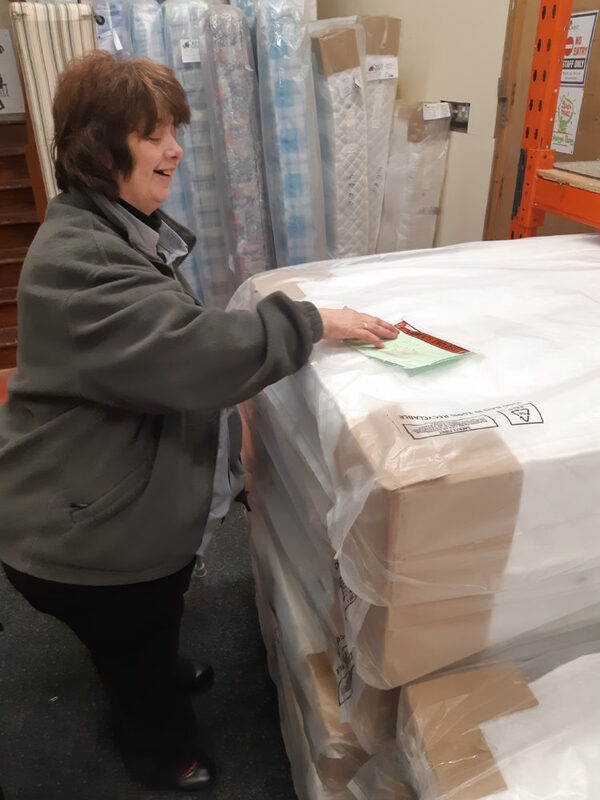 Here she is declaring her joy that another mattress has a new owner, happy days! Here’s John H, our Volunteer Co-ordinator giving an induction to one of our newest volunteers! 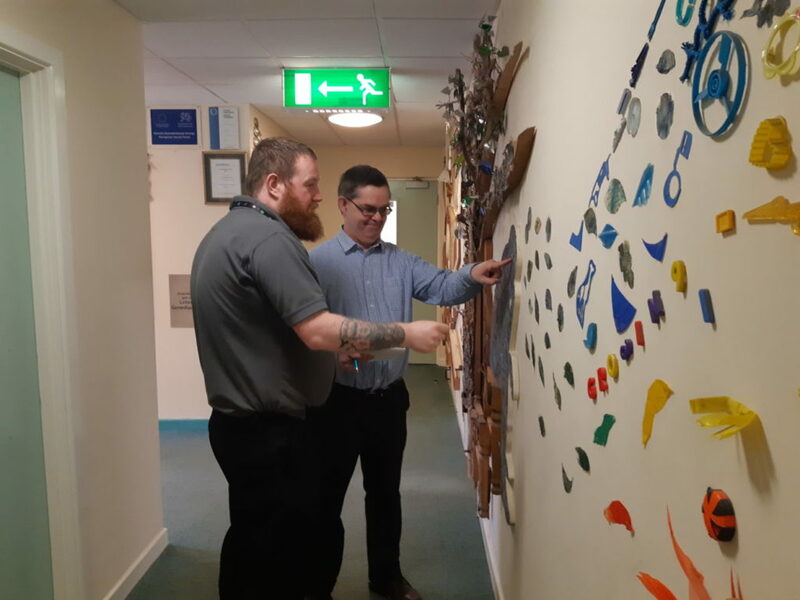 Mark is profoundly deaf but that’s not stopping him working at Reception! We’re positive about disability and he’ll be helping out with our reporting! Emlyn is back for another Crest in Motion. 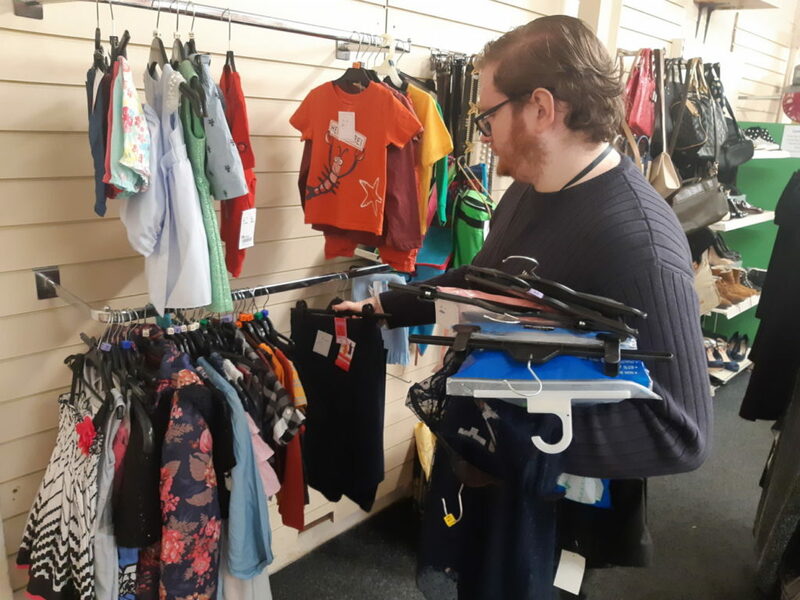 Here he is weighing your donated textiles for reuse or recycling. He’s also weighing up Burnley FC’s chances of staying up this season… it’s not looking good! 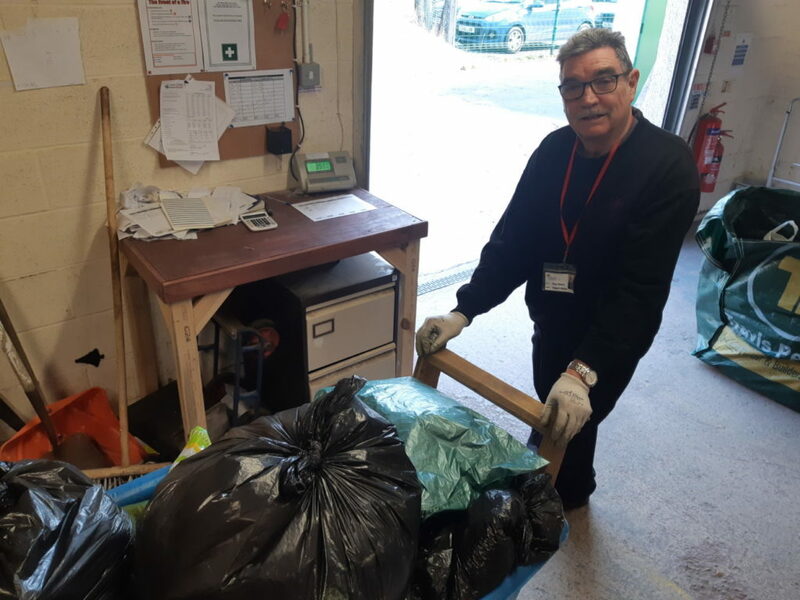 And finally here’s Keith, another one of our newer volunteers and he splits his time between both our Llandudno Junction and Colwyn Bay shops. Here he is hanging some clothes up for us. 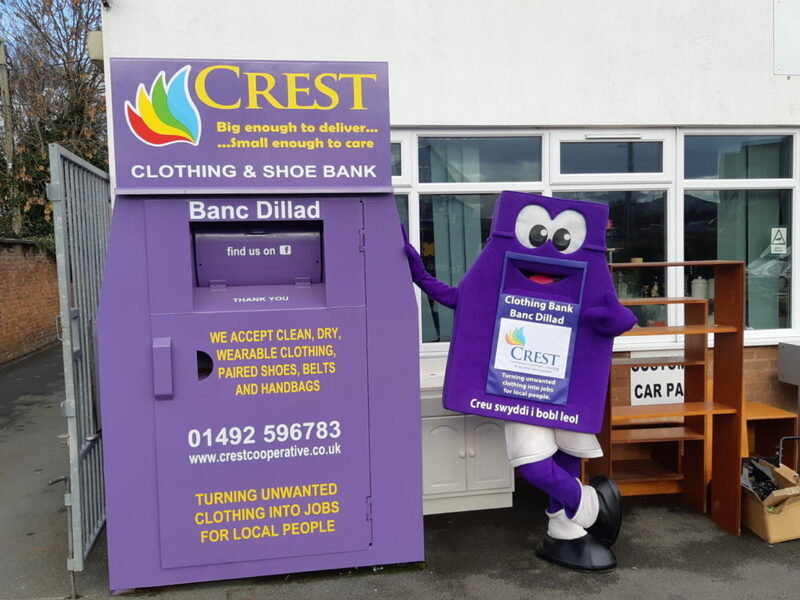 Don’t forget you can donate clothing to Crest to help your local community!